Do you know what the world's three biggest mountain ranges and where is the junction of these mountain ranges? If you don't know today we'll let you know and educate you about the possibilities of enjoying that tourist point. Where does the three ranges meet? 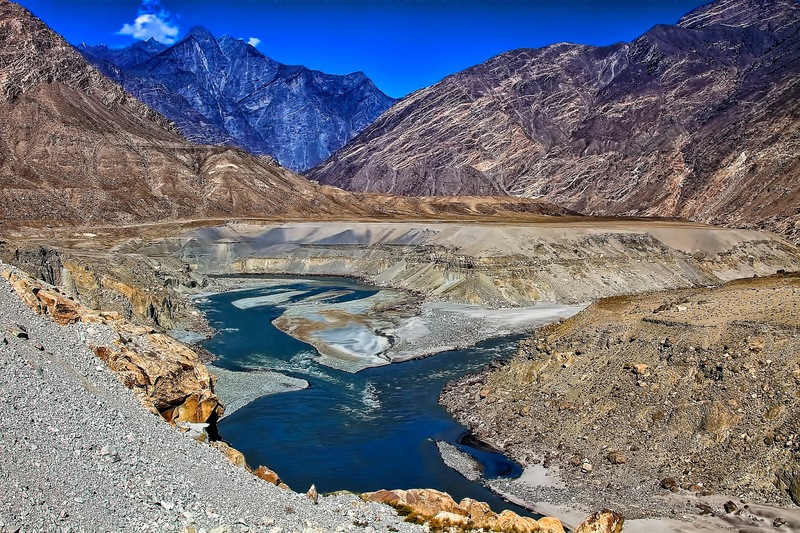 The world three mightiest mountain ranges meet at a location some 40 kilometers south of Gilgit city in the northern province, Gilgit-Baltistan of Pakistan. In the above picture you can see three distinct mountain ranges. The mountain on the right is Himalaya ranges and on the left is the Hundu Kush ranges. The mountain having cloud over it in the center is the Karakorum mountain ranges. 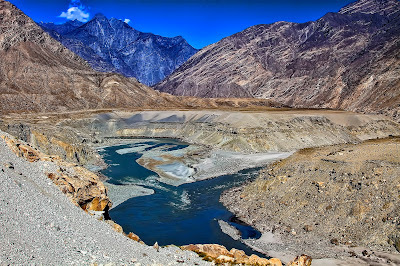 The river flowing from left is the Gilgit river which falls into the Indus River running downstream from the Karakoram mountain to the Arabian Sea. How can you visit this point? Visiting this point is very easy because this junction is not at a remote location but at such a point which is easily accessible all the year round. This junction is on the Karakorum Highway some 40 kilometers before Gilgit city. In short, if you are heading towards Gilgit, Skardu or Hunza this junction will come on the way. You can stop over there and take snaps. This would be a kind of experience for you to witness the world's three mightiest mountain ranges. There are many mountain ranges in the world but when we talk in term of the overall prominence and density of the mountains or the height of the mountains then Himalaya, Karakorum and Hindu Kush mountain ranges have no parallel. 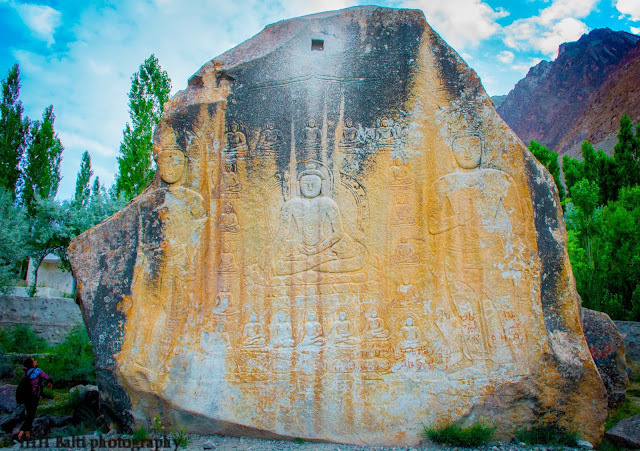 The Andes and Rockies or Alps are greater in length but in overall the worlds highest mountains or the largest glacier reserves or the sheer rocky in the Himalaya, Karakorum and Hindu Kush are unique and the mountain climbers just love the mountains in these three mountain ranges.